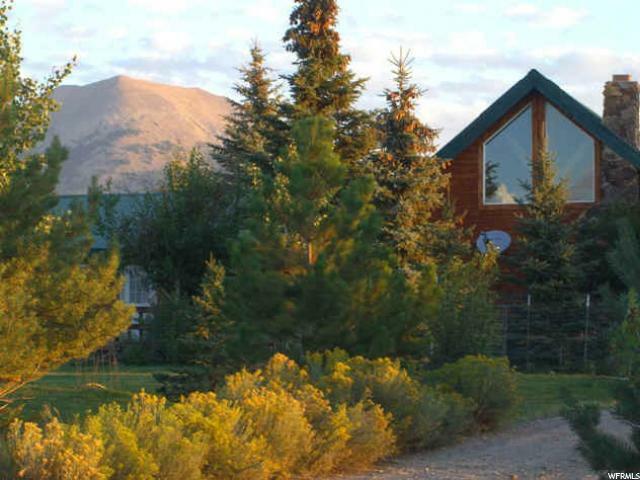 All La Sal homes currently listed for sale in La Sal as of 04/24/2019 are shown below. You can change the search criteria at any time by pressing the 'Change Search' button below. If you have any questions or you would like more information about any La Sal homes for sale or other La Sal real estate, please contact us and one of our knowledgeable La Sal REALTORS® would be pleased to assist you. "Owners Retiring! A Unique opportunity to own ranch property with stunning panoramic views of Mt. Peale to the north, the San Juan mountains to the east, and close to the beautiful Red Rock country and National Parks of south eastern Utah. This property, used as a lodging facility, healing center and animal sanctuary includes the main Lodge with 4500 sq ft of space, which includes 6 bedrooms on the main floor and two loft bedrooms, with private baths, a 1200 sq ft Great Room off the large professional kitchen, a living room with native rock fireplace, and a studio apt.. Ample view- windows bring in the outdoors with the frequent wildlife visitors, spectacular sunrises and sunsets; wraparound decks surround three sides with ample space for socializing. The vast lawn areas are mixed with native landscaping and numerous mature trees. 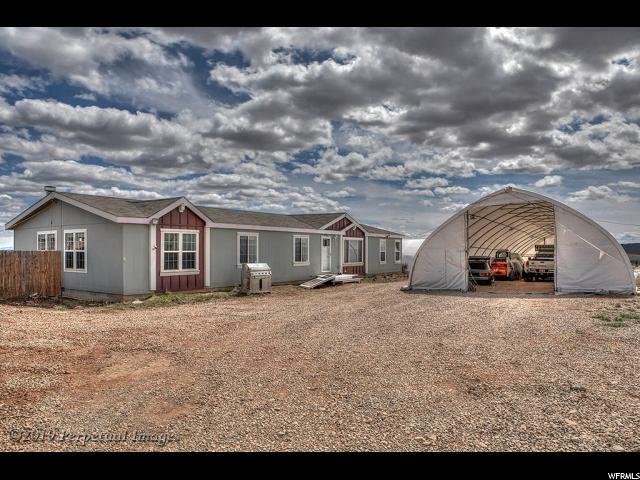 The two duplex-style cabins (4 units, each with 3 bedrooms for an additional 12 bedrooms total) and 1 bath (total 4 baths), kitchen/family area in each unit. Also on the property offers the amenities and privacy of home with their own kitchens, utility hookups, and 3 bedrooms. A single family home which serves as the Manager's Residence has two bedrooms, a small study, all stainless steel appliances, bamboo floors, views from all sides with a wraparound deck and an 8' by 8' garden tub sun room. The grounds include fenced pastures, a 3-stall barn, hay shed, corral, and 5 3-sided horse shelters. Dream your own dreams for this fabulous estate. It has seen weddings, conventions, retreats, celebrity performances, healing retreats, leadership retreats, outdoor education, and family reunions. It is perfect for a Dude Ranch, Healing Center, Animal Sanctuary or a Horse Ranch. It was built with love, cared for with devotion, and is now available just for you. The property is located in a Four-Season area on the SE slope of the La Sal Mounts, SE of Moab in the heart of outdoor recreation, tranquility, and possibility. Additional land is also availab"
"Country Comfort fills this gracious 4 bed, 2 bath, manufactured home. If you enjoy peace and quiet, this Desert Western designed home sits on a dead end street, lessening traffic and providing a quiet and private sanctuary. Enjoy the large pond and spotting the wildlife that bustles around this property, including an eagle nesting and breeding ground just walking distance away! When you're not outside taking in the amazing views, enjoy the large play/man cave equipped with racing arcade and professional, slate pool table. The rustic western wood furniture that fills this home is all custom built, adding a touch of uniqueness. Keep a watchful eye on your oasis in the desert while you're away with the security cameras that surround the property, and 4 burglar alarms. Two 100' x 32' Quonset huts provide ample Indoor Storage for over 25 Cars, Trucks, Boats, Trailers, RV's, ATV's, UTV's, Snowmobiles, Jet Ski's, Motorcycles. Yard is 90% fenced, and has an underground, automatic sprinkler system already installed. 10 minutes to Mountain Top, deep snow some years it is year round, 30 minutes to Colorado River, 2 hrs. 41 min to Bullfrog Marina @ Lake Powell (HALLS CROSSING. )15 minutes to BFE, 5 minutes to nearest 4x4 trails, 14 minutes to Cane Creek Canyon Trail with over 50 river crossings. Most furnishings stay! "